How are American book consumers changing in terms of who they are? 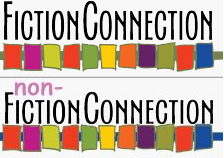 How are they driving or responding to changes in the book business? How are they changing their book purchase habits and the format of what they read? How are their tastes in books changing, if at all? How are they discovering books in the new book marketplace which can mean buying a book whenever or wherever they want on their own smartphone? And what can the creators, marketers and sellers of these books do to respond to today’s book consumers? 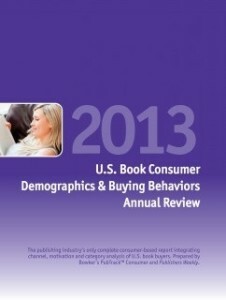 These are some of the questions that the Bowker Market Research consumer panel (comprised of more than 70,000 Americans) will attempt to answer with the “US Book Consumer Demographics & Buying Behaviors Annual Review.” Nearly all of this data is drawn from consumers who bought books of any format and from any source in 2012. These words by Robert Kennedy, spoken more than 50 years ago, could well apply to today’s book industry. While the “danger” is not a physical one—really more of a disruption—the changes going on in the industry are keeping many publishers, booksellers, wholesalers, authors, and agents up at night. These disruptions come with plenty of risk, but they also provide opportunity, as various industry stakeholders blaze a path to a new and uncertain future. 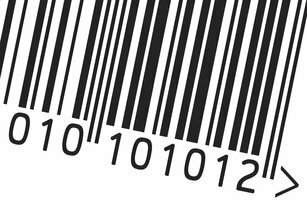 Some of the big stories in 2012 revolved around the e-book pricing agency model (where publishers set the prices and retailers get the commission), versus the traditional wholesale model where the retailer sets the price. The Department of Justice, in its suit against Apple and major publishers charged those companies with conspiring to fix e-book prices in part through the use of agency pricing. 2012 also saw the continued rise of self-publishers as a force in the market. While there are perils around trying to identify exactly what a self publisher is, Bowker Market Research estimates that approximately 3% of books bought by Americans (and 1% of dollars spent) were by self-published authors. Further, these self-published books accounted for 8% of e-book purchases throughout 2012, and 10% of all adult fiction e-books bought. Despite all the changes going on in the business, who buys books has remained quite constant. Women, especially those 30 to 44, remain the “sweet spot” for the book business, as they have for the last few years. Women were the dominant book buyers in all age ranges. And women outspent men in all age categories as well, especially in the 45 to 54 age range. What books Americans buy, in terms of genre, has also remained fairly constant. While there were small gains in the shares of books in the adult fiction and juvenile genres and especially the young adult genre, these were offset by some decline in academic/professional and scientific/technical/medical genres. The biggest story in genre for the year, of course, was the Fifty Shades trilogy, whose sales certainly helped contribute to the market share gains for adult fiction. If you purchase your own full copy of the Annual Review before the end of August, you get 20% off the regular price of $999.